Approximately one year ago, I shared with you guys a phone destined to slay the (then) iPhone produced by Apple; One year ago, the phone was so sensationally good that people have actually turned their heads and wallets away from the rather back-lagging iPhone and pick Samsung Galaxy S! One year has gone and Apple has clearly seen its lead being trimmed tremendously. Now the already "outdated" iPhone will have to content with Samsung Galaxy SII! I don't think iPhone 5 which will be released next month can dethrone Samsung Galaxy S II. 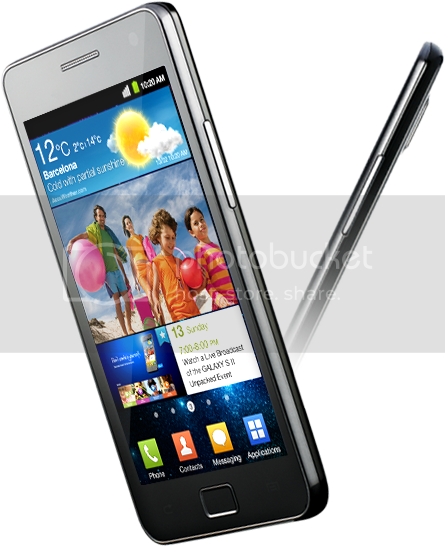 Do you know that Samsung Galaxy S II managed to surpassed the 3 million units sold mark in just 55 days? Now let's do some maths here: At least one Samsung Galaxy S II (GSII)has been sold nearly every 1.5 seconds, which made us to 57,000 GSII being sold daily. Wow! Hence it is now Samsung's quickest and best-selling smartphone to date. That speaks volume about the phone quality right? I believe no one can deny the fact the Samsung has been making better phones compared to Apple. 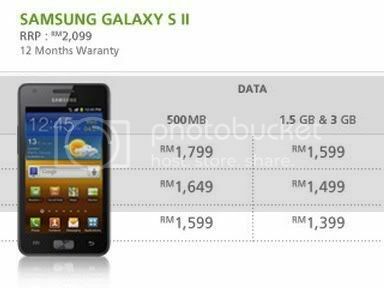 Let us see why Samsung Galaxy S II is simply way better than iPhone shall we? Super AMOLED Plus will blow you away! Experience life in the fast lane with 1.2Ghz Dual-core processor. 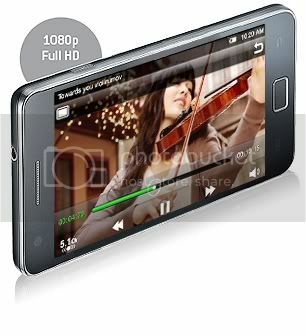 Do you know that Samsung Galaxy S II is actually capable of shooting FULL HD 1080p video at 30fps, which is really a rarity. So now you can capture all those priceless moment of your loved ones vividly. 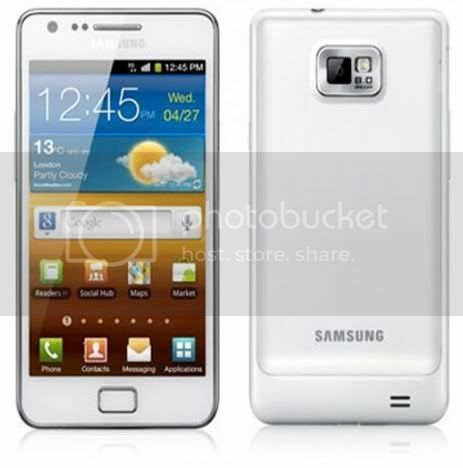 Samsung Galaxy S II boast a stunning 8MP camera complete with autofocus and LED flash. Flip the phone and you will see the 2MP camera sitting comfortably on the front panel, making videoconferencing and self-portrait a snap! 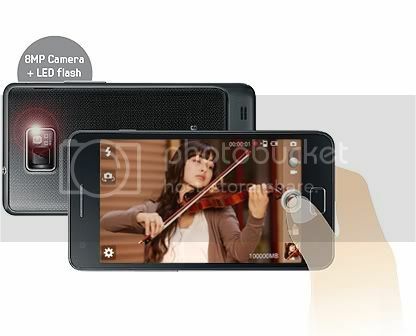 Having 2MP for a front camera is considered quite impressive as some smartphones have only a VGA camera to show. Readers Hub-You very own library in your pocket. Don't like to bring along your heavy, hardcover books? You forgot to bring your favourite magazines with your on your business trips? Worry not as Samsung Galaxy S II's Readers Hub is here to rescue the bookworm in you. Now you can leave your book shelves or library at home. With more than 2 million titles to choose from, you will be spoiled for choice. I heard, "How about newspaper and magazines?" Those who need to have the latest news around the world from their preferred dailies and love to read entertainment magazines will be happy to know that...there are a whopping 1,600 newspapers (in 47 languages) and 2,500 different magazines (in 20 languages) for them to choose from. This is what we call reading books beyond papers right? 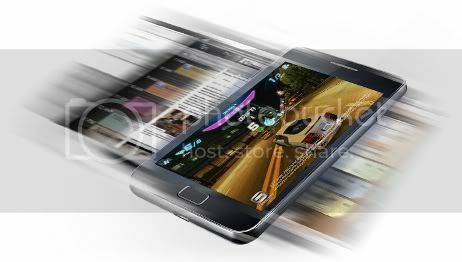 It seems that Samsung Galaxy S II has been designed with seamless connectivity in mind. 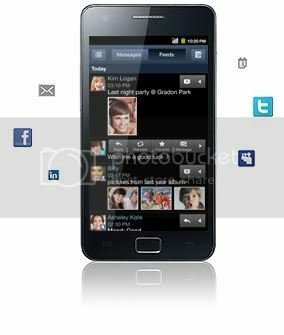 Now you can share virtually anything in your Samsung Galaxy S II with anyone or...any devices. Yep! 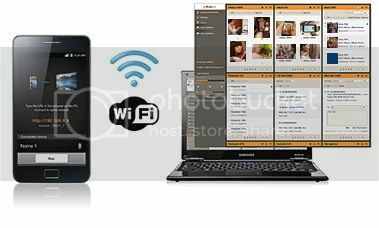 With AllShare your Galaxy S II can be linked wirelessly to a laptop, TV or even an audio system which is DLNA (Digital Living Network Alliance) compatible. Besides that with Kies, you can sync your Samsung Galaxy S II with any computer. 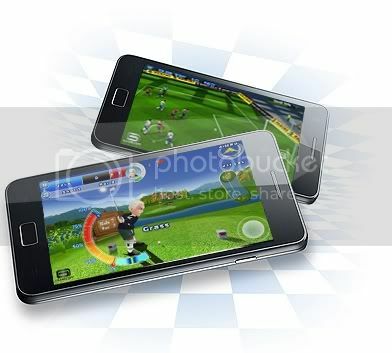 Best of all if you are one of the proud owners of Samsung Galaxy S II, you will be enjoying its super fast wireless connectivity-HSPA+ with 21Mbps of transfer speed. Now that is what we call seamless connectivity aye. Now let's go to the fun part, shall we? If you are an avid gamer, Samsung has its very own Game Hub for you to download games and play them on the gorgeous Super AMOLED Plus screen. Besides that you can now satiate your craze for music with Music Hub. 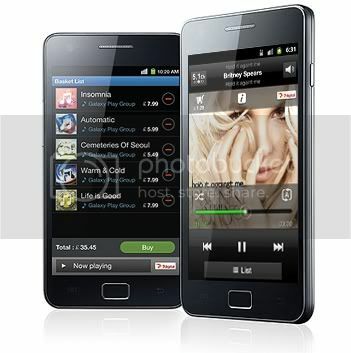 It is Samsung's latest native music player which promises richer entertainment experience for you on the go. Last but not least is Social Hub. With Social Hub you can stream your emails, SMS, Twitter, Facebook and other social media interactions into one unified box. So you get all your social updates in the same spot. 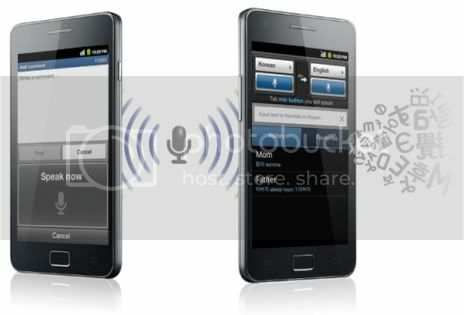 Get vocal: Control your Samsung Galaxy S II with your voice. 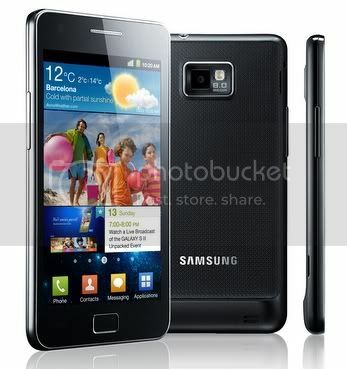 In a nutshell, Samsung Galaxy S II could very well be the best Android Smartphone right now. Wait...IMHO, Samsung Galaxy S II is without a doubt the best smartphone right now. I dare claim that no other smartphone can rival its sheer brilliance and raw power. I could only think of HTC Sense as a possible contender. Will iPhone 5 be able to match Samsung Galaxy S II? 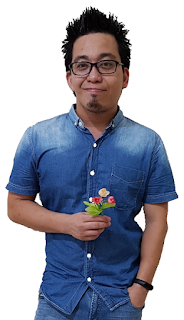 Let's wait for Apple to roll it our this September ok. All in all Samsung Galaxy S II has not only upped its own game, but at the same time it has upped the benchmark for all existing and future smartphones.